Robotics 11 requires permission from the instructor. Robotics 11 is intended to develop skills for students considering careers in the linked fields of Robotics, Mechatronics, Programming and Engineering by challenging students to use the design process to build and program, in both NXT-G and Robot C, a series of robots. Students, typically working in small collaborative teams of 2 students, will be engaged in project-based learning where they are challenged to use problem-solving strategies, creativity, and critical thinking to build increasingly complex robots. Students will use specially created electronic and other resources (via careers.sd71.bc.ca) to gain an understanding of the scope of career opportunities in these areas and to develop short-term and long-term career plans in these and other areas of interest. Build and program a series of robot arms and manipulators that can move objects from place-to-place. Build and learn to control a series of robots via remote control such as Bluetooth, IR sensors or related technologies. Undertake an end-of-module challenge, using the design process, that demonstrates advanced remote control over a single robot (a robot blimp for example) or multiple robots (platooning or motion choreography). Initiate a career plan based on a possible future in robotics (and/or the associated fields) and identify courses and work experience opportunities in grades 12 and beyond that will help students take steps towards entry in post-secondary programs. Continue to develop an awareness of the history of robotics and related fields (mechatronics, electronics, programming, and engineering). 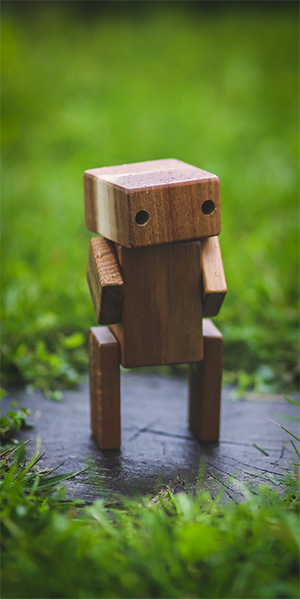 Develop an understanding of programming through Robot C (Easy C or Simple C). Program basic robots to move, with increasing complexity, via Robot C programming. Program the use of standard sensors using Robot C (touch, ultrasonic, sound, light and others). Undertake a challenge, using the design process, to build and program a robot to complete that challenge (complete a designated course or typical industrial task for a fixed period of time). Complete a longer-term career plan based on a future in robotics (and/or associated fields). This plan must include information on applications for admission into post-secondary institutions and applications for scholarship/bursary/student loan funds related to these applications. demonstrated awareness of the history of robotics. demonstrated awareness of current trends in the multiple fields associated with robotics, mechatronics, and programming. students will demonstrate an ability, using the principles and practices contained in the design process, to design and build a robot to undertake several class-wide challenges. Demonstrate an ability to outline, and execute, end of module assignments incorporating a reasonably complex set of movements, some using sensors, and elements of remote control. create a long-term plan for post graduation careers in the related fields identified above. Require Resources: Computer and internet access. LEGO Mindstorm NXT 1 and/or NXT 2 kits (deposit may be required).